The Royal Bank of Canada is currently offerings employee pricing to its customers until July 3, including a five-year fixed at 2.69 per cent, making it the lowest advertised rate by one of the Big Five. The promotion will place RBC firmly back in the mortgage game, with many clients likely to be swayed by the bank behemoth’s name recognition alone. But brokers aren’t prepared to give up that business without a fight. “It’s a lot of smoke and mirrors,” David Skinner of TMG The Mortgage Group said. “Brokers can easily beat it – I still have a five-year fixed at 2.59 per cent from two different lenders. Royal Bank’s offer does not cost me any business at all. Irving believes monolines are doing their part to give brokers every advantage in the current record-low rate environment. 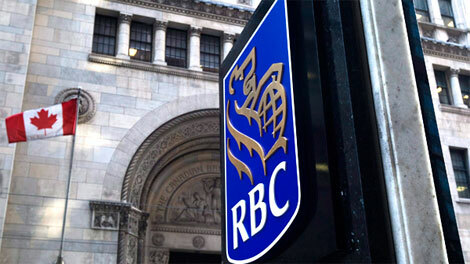 However, one RBC mortgage specialist suggested the bank would go even lower than its advertised 2.69 per cent five-year fixed rate if necessary. I am not sure where you can get 2.59% for a 120 day rate guarantee like RBC has under their new rate. I can beat them on quick close but that is not the norm for business in my city. So if David Skinner can give me better details on the smoke and mirrors I would appreciate it. has anyone looked at the form borrowers sign regarding discount received and what that will mean if early payout happens?